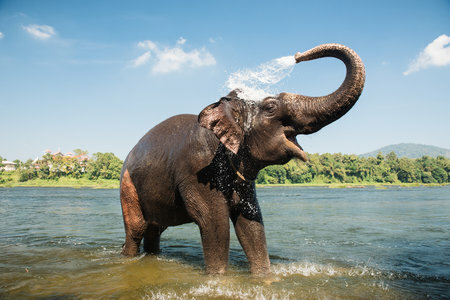 One of India’s prized jewels, Kerala’s network of tropical waterways, lagoons and hidden riverside villages offer some of the country’s most enchanting experiences. From a mix of colonial charm around the busy historic port of Kochi (Cochin) to the gentle pace of life on the backwaters and the beautiful hill country, this feel-good region is of outstanding natural and cultural diversity. Travelling on our ATOL protected holiday packages privately in India gives you the independence and flexibility to determine your own itinerary, accommodation and way of travelling. Depart the UK today for Kochi. Flight included from London Heathrow. Other airports may cost extra. Flights used Eithad or Emirates. Arrive into Kochi, a port city which grew on the riches generated from the spice trade with the Europeans; Kochi has an assorted mix of influences making it a great holiday destination to see sights and monuments. Airport pickup is included and the rest of the day is spent at leisure exploring the surrounding area followed by an evening viewing the authentic Kathakali dance–. Stay for 2 nights at the Kochi Hotel. Kochi city tour including a visit to the 15th century synagogue of Kochi: paying homage to one of the oldest Jewish communities. The famous Chinese fishing nets creatively fashioned for this captivating form of fishing. The highlight of the tour is the Dutch Palace or Mattancherry Palace, an old-world style charming palace built by the Portuguese but renovated by the Dutch in the sixteenth century. The palace is arguably home to the most intrinsically carved ceilings and murals in South of India. This morning, transfer by road to Munnar. Drive up into the hills and visit the Tata Tea Museum, the ideal place to showcase the origins of tea and the process of tea making will be explained. In the afternoon visit Shola Jungles, spice plantations and more. Leave for Periyaar Wildlife reserve and Thekkady, a scenic drive through plantations and thick evergreen jungles. The afternoon is spent at leisure with the opportunity to explore the nearby villages and also to see some of the diverse wildlife in Periyar National Park, with over 50 species of mammals and 300 species of birds many of which are widespread to the region. Stay 2 nights at the resort. Enjoy a morning nature walk exploring the thickets. The rest of the day is at leisure until an early evening Indian cooking demonstration. 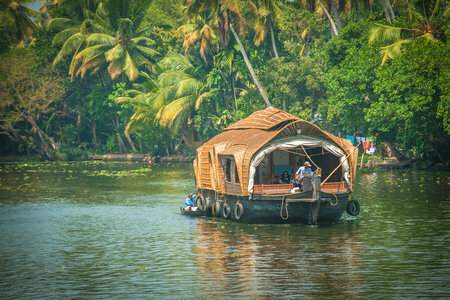 Late morning transfers to Alleppey (85 miles/approx 4 hours) to embark on your backwater cruise onboard your houseboat, the most traditional and relaxing way to navigate the lagoons and palm fringed canals, bustling with glimpses of day to day life in rural India and countryside. Spend the night under the stars on the calm waters in a sheltered clove or harbour. Drive to Kumarakom where you will have the afternoon at your leisure in one of the most comforting and scenic places to unwind in Kerala. Stay for 1 night at the Cocobay Resorts. Drop off to Kochin (Cochin) International Airport. At Tea Country resorts, Munnar there are Horizon View non air conditioned duplex styled villas with modern living room on the ground floor with bath attached and a pantry area and a bedroom with a balcony on the top floor. These spacious villas are laid out in 600 square feet of area and overlook the mountains. There are a multitude of in house entertainment options such as half day or full day treks, cookery demonstrations, yoga sessions and more. Cocobay Resort is situated in the midst of swaying palm trees and on the banks of India’s largest fresh water Lake Vembanad. With a collection of 22 air-conditioned suites built in traditional Kerala architecture makes this an ideal place to unwind and relax. Ethnic ambience blends with modern amenities and designer bathroom, Verandahs and open balconies offer fantastic view of the lake and stunning sunsets. Greenwood resort is an enchanting and luxurious Keralan nature resort located in a little town (Kumilly) bordered by dense forests and slopes laden with spice plantations. Underneath a lush canopy of tropical trees, there is much to discover and experience at Greenwood Resorts.... A tree top coffee shop, fruit laden trees, a swimming pool and multi cuisine restaurants are some of the highlights that makes this such an outstanding resort. Abad turtle beach resort spread across an area of 13 acres of land, the beach resort is located at Mararikulam, a traditional fishing village about 30 miles from Fort Kochi. The resort overlooks the white sandy Marari beach. The resort is home to 29 beach cottages and villas.The rooms are modern, spacious, aiir-conditioned with en-suite. All have individual patios, are equipped with modern amenities such as a television, telephone, fridge, tea/coffee maker and a safety locker. An Ayurveda (herbal) centre offers wellness treatments and massages and manned by experienced masseurs. The multi cuisine restaurant offers both Indian & continental cuisine and located next to an elevated infinity swimming pool with sun bathing opportunities. The Houseboats are built in traditional rice boat (Kettuvalam) style. The houseboat is reinforced with a five partition steel hull for durability and safety. The Eco friendly materials of bamboo, areca nut tree, bamboo mats and coir gives the houseboat roof its old world charm. Local craftsman handiwork has created beautiful interiors and a heritage look. Our houseboats offer modern amenities with food cooked and served on board. Premium houseboat will provide guests with 1 bedroom, towels, clean linen, a flat-screen TV and air conditioning.